What the Seychelles Can Offer! The Seychelles immediately conquers up images of turquoise waters, and exotic islands, and in reality, they are exactly as you imagine them to be. Located on the west of the Indian ocean, the Seychelles are slowly becoming more and more popular for couples and families to visit. You can easily wander around the lush green natural environment that it has to offer, and become engulfed in it’s presence. One of the main reason why tourists pay to come and visit the archipelago of islands here is the flora and fauna. While you are here, you can see the Aldabra Atoll, which is the largest of the land tortoise, and the White-Throated Rail. 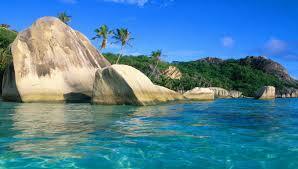 The official language of the Seychelles is Creole, French and English. There are a myriad of things to do and places to explore on the islands, but the main tourist destinations are Mahe Island, Praslin Island and La Digue Island. Mahe Island is among one of the biggest islands in the Seychelles. The mountains are 3000 feet high, and the beaches are even more spectacular here than on any other part of the island. Botanical gardens and a natural history museum can be visited here also. Praslin Island is the second largest island. It’s location is about 40km away from Mahe.Beaches like Anso Lazio and St. Pierre surround the island. It’s one of those really cool parts of the Seychelles that you should make time to visit. The island of La Digue is situated on the eastern side of the island of Praslin. The only way to reach here is via ferry. If you are looking for that romantic getaway and would like to visit the Seychelles, then why not do a search forÂ Luxury Holidays SeychellesÂ online and you’ll get a variety of options for you to choose from. The people that live on the Seychelles are mixed from all walks of life. The local food is mainly made up of seafood, but there is also a strong preference to Indian dishes, grilled fish and curries. The tropical climate is present there throughout the year and therefore this makes the likes of the Seychelles an ideal location to visit. If you do decide to go there, then you’ll be left with memories that will last you a lifetime. Not many of your friends will have been to the Seychelles, so why not make they a little envious and head there on your next trip abroad! The Magical Paradise of Disney Land!